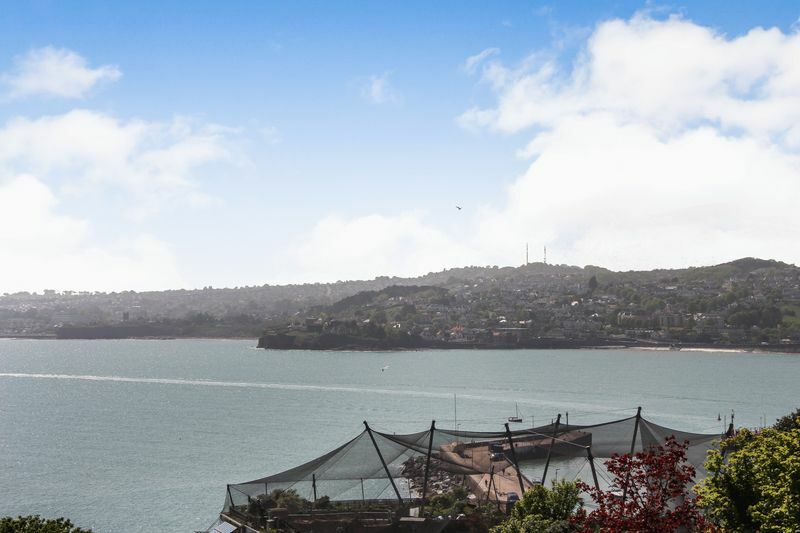 An exquisite detached residence in an elevated position on Torquay's Waterside with stunning sea views over Tor Bay. 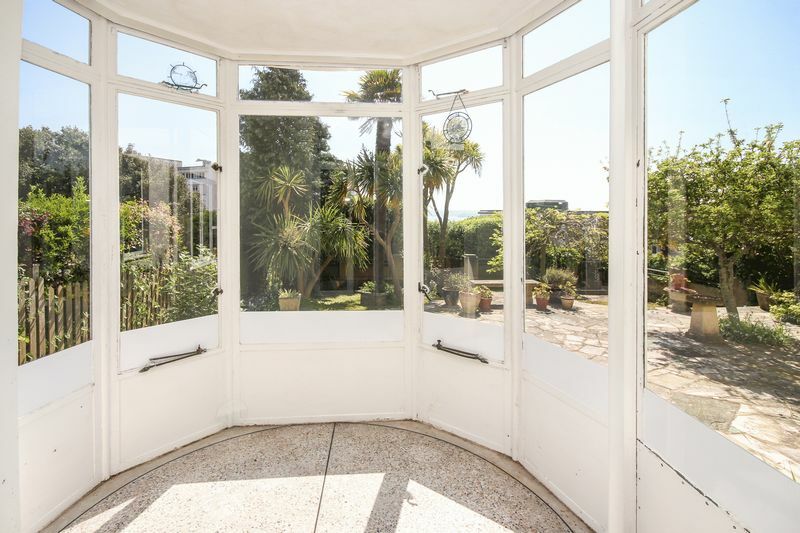 Principally facing South and set in 1/3 of an acre of gardens, this wonderful art deco influenced property is offered for sale Chain Free. The property affords generous living space in a traditional layout and is set in a peaceful location at the end of a private road with a gated driveway and double garage. The property can be accessed via a footpath from Park Hill Road to the front of the property leading through the front garden or for vehicular access a private road, which leads to the gated entrance of the grounds. An entrance portico and flute panelled wooden front door lead you into the entrance vestibule. Double glazed door then brings you into the entrance hallway to the property with access to the principle rooms and to the first floor. Immediately to your right is the cloakroom, larger than average it is equipped with a low level W.C, wash hand basin and heated towel rail. Back into the hallway double doors take you through into the exceptionally good-sized living room giving way to the dining room. The living room is a bright and airy room with an abundance of double glazed windows to the front aspect giving views across the garden and out to sea as well as access to the sun room. A focal feature of this room is the fireplace, fitted with a basket coal effect gas fire and set in an elegant art deco marble surround, in keeping with the very essence of this property. Leading through to the dining room, there is feature fire surround with a marble inset and hearth, fitted with an electric fire. 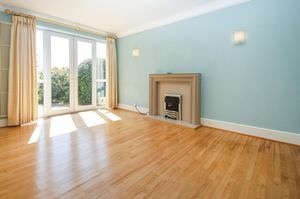 Again this room is pleasantly light with patio doors leading straight out on to the garden, a fantastic setting to entertain family and friends. The fully fitted kitchen/breakfast room has been built to a high quality with a fantastic design. It offers a variety of modern storage solutions by way of a range of wall and base units, and dresser unit with glazed doors and illuminated glass shelving. The granite work surfaces extend to a Peninsula Breakfast Bar providing flexible dining options. 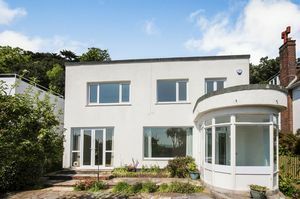 A useful study/office area has a built-in curved granite desk/work surface and a phone point, with duel aspect windows overlooking the grounds to the rear of the property. 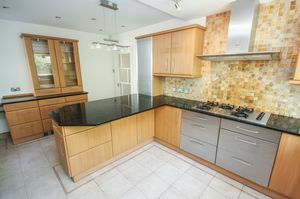 The kitchen is fitted with a selection of appliances to include a Neff eye-level oven and grill and 5-ring gas hob with cooker hood over, fridge/freezer, one and a half bowl sink and drainer unit with mixer tap over and a full size integrated Neff dishwasher. Leading on from the kitchen to the rear of the property is a lobby giving access to the utility room, rear door, a a variety of storage cupboards including the housing of the combo boiler. 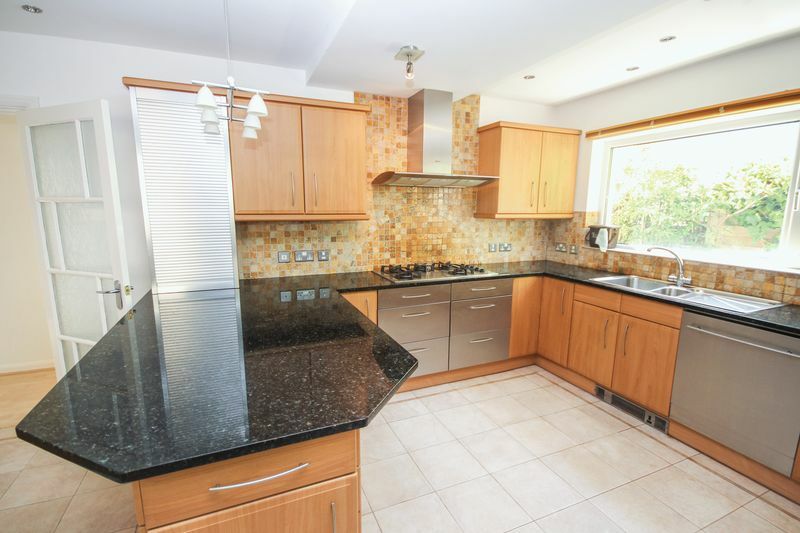 The utility room is of modern design with a range of wall and base units, granite work surfaces, inset sink and drainer unit with the provision for a washing machine and tumble dryer. Stairs to the first floor are accessed from the entrance hallway, with a door to the under stairs storage cupboard. The staircase leading to the lobby benefits from a large double glazed window allowing plenty of light. 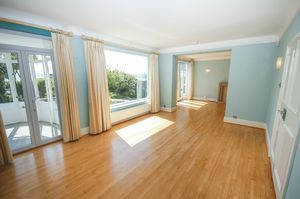 From the lobby you have access to all three bedrooms and the family bathroom. The family bathroom is a three-piece white suite comprising of low level W.C, wash hand basin and panel bath with shower over. The master bedroom is positioned to the front aspect of the property making the most of the stunning views and benefitting from direct access to a roof terrace. This room is fitted with a range of built in wardrobes to one wall and has a good-sized four-piece en-suite bathroom. 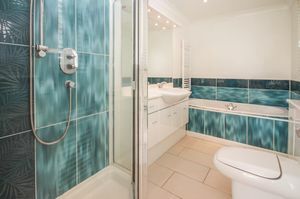 The en-suite comprises of a close coupled W.C with concealed cistern, a wash hand basin with vanity unit below and a large mirror above, a double ended bath set in a tiled surround and a separate shower cubicle. 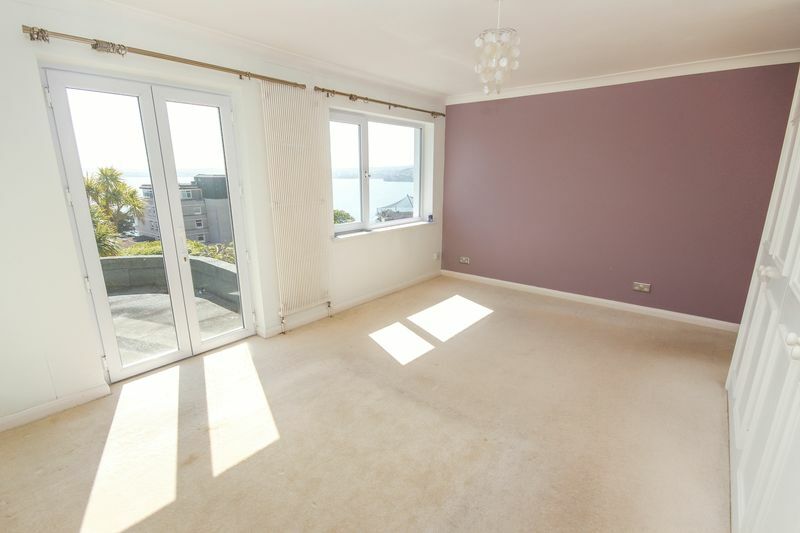 Bedroom two is also a good sized double room, again offering breathtaking sea and coastal views and fitted with a range of built-in wardrobes to one wall. 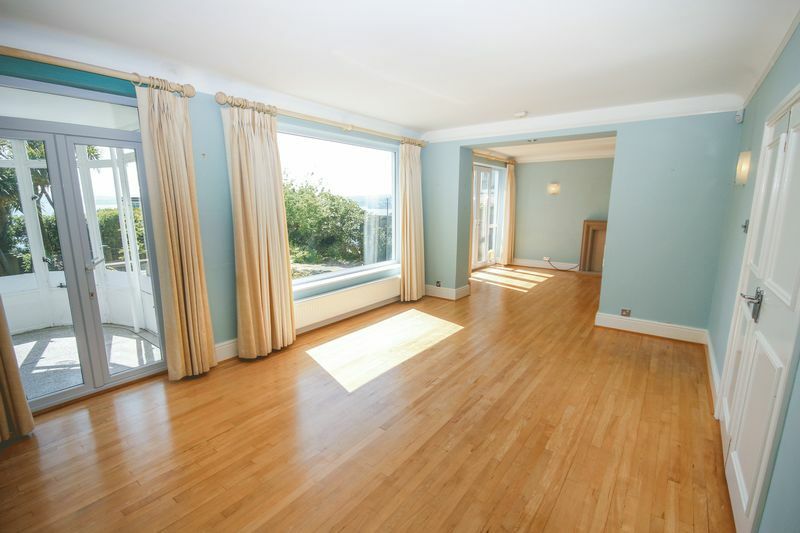 Bedroom three is also a double room, to the rear aspect of the property. 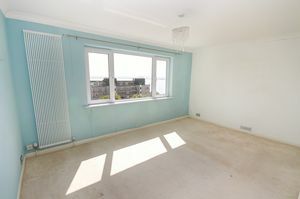 This room has the added benefit of having direct access to a roof terrace which then gives access by way of a fitted ladder to the main roof. 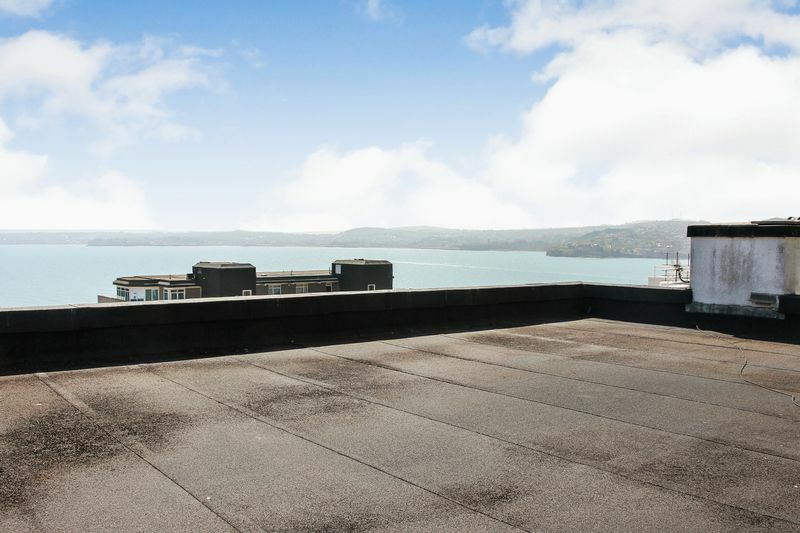 The main roof of which has been re-lined in the past couple of years offers substantial views of Tor Bay and it's surrounding natural beauty. 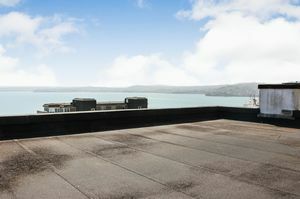 Here there is potential to extend further to provide a luxury en-suite master bedroom and private roof terrace (STPP). 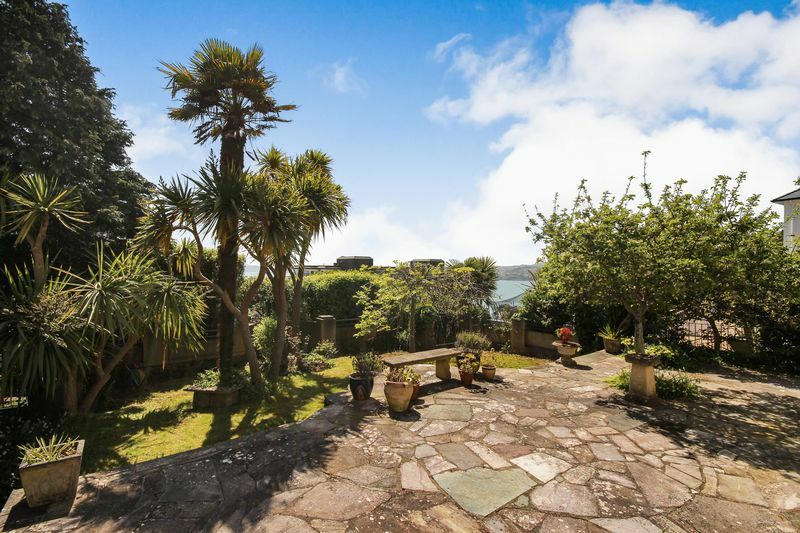 The gardens and grounds of the property are of substantial size however remarkably low maintenance as intended. The large brick paved parking area offers an abundance of space to accommodate several vehicles as well as the double garage equipped with power and light it is operated via two remote controlled doors. 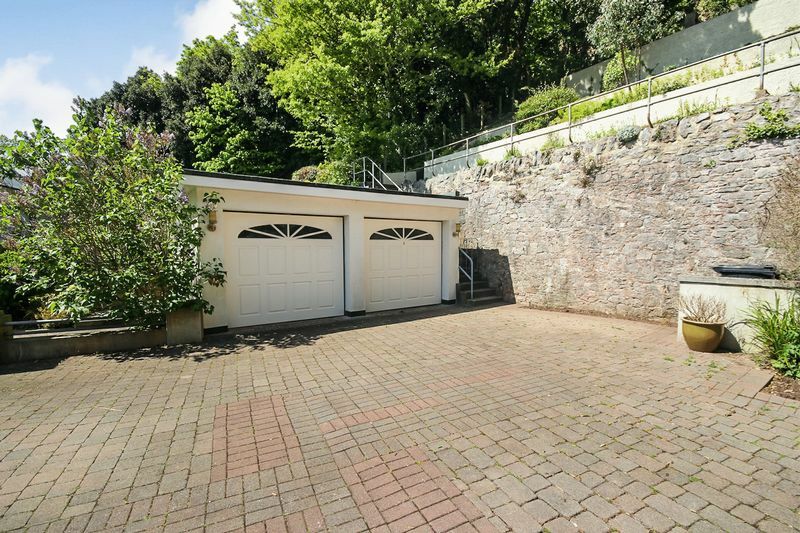 A path gives access to the entire surround of the property with steps leading by the side of the garage to the three tiered rear garden. 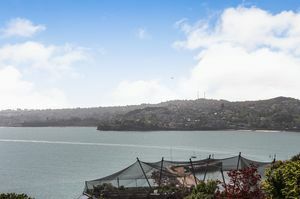 From here you can enjoy the splendid views the location of this property provides. 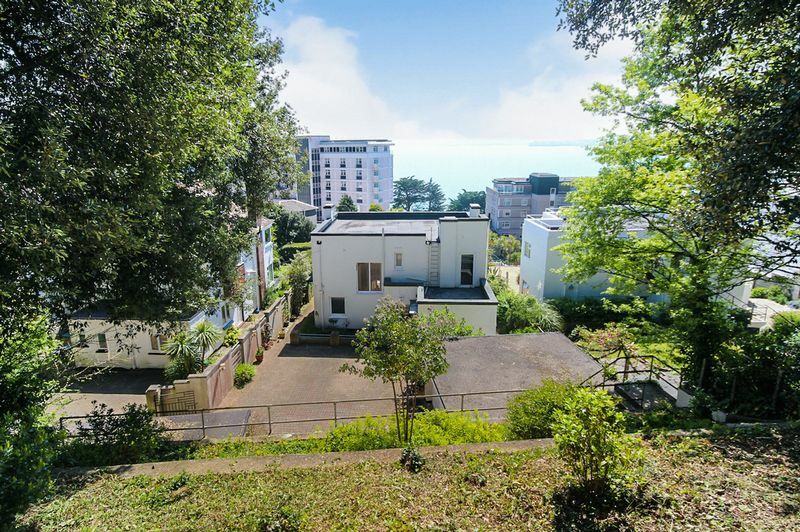 Due to the elevated position of the property the front garden is secluded from Park Hill Road below and offers a tranquil haven to enjoy the southerly sunshine and exceptional views. It is mainly laid to a crazy paved patio with a variety of beautiful flowers and shrub beds. Semi-circular steps lead down to an enclosed lawned area with mature palms, with further steps descending to a well stocked mature flower and shrub bed with decorative balustrading fronting Park Hill Road. 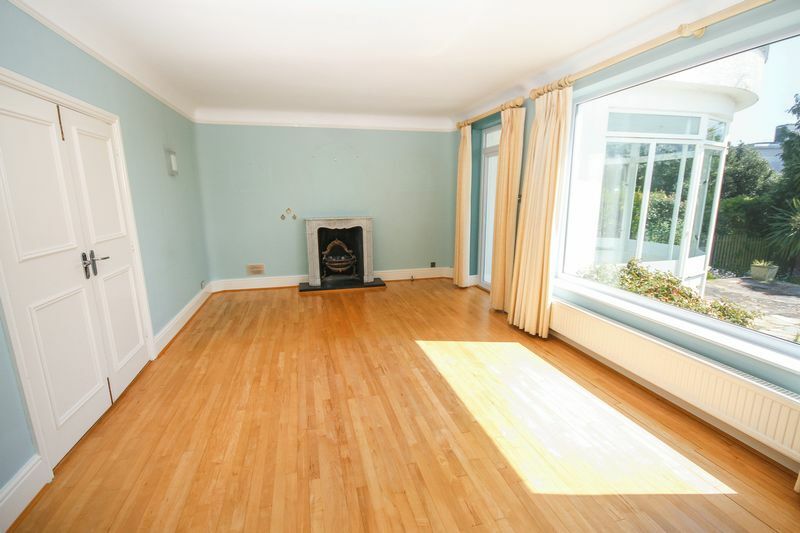 Coved ceiling, double radiator, telephone point, under-stairs storage cupboard with light. 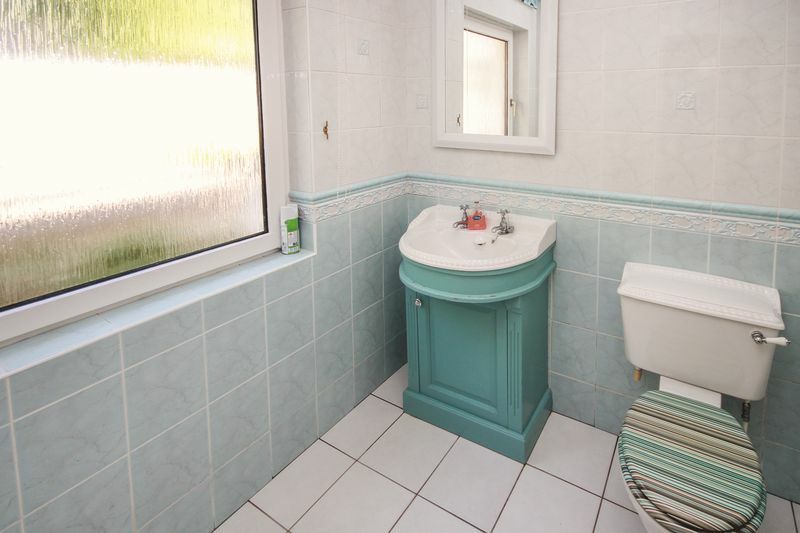 Low level W.C, wash hand basin with vanity cupboard beneath, tiled walls, ladder style heated towel rail, ceramic tiled floor and obscure double glazed window to rear aspect. Glazed windows to three sides and enjoying views over the enclosed front gardens and towards the sea. Terrazzo flooring, wall light point and power points. Double doors to side aspect to front terrace. Leading on from the living room. PVCu double glazed French doors with matching sidescreens open to the front terrace with lawned garden beyond. Feature fire surround with marble inset and hearth with fitted electric fire. Barrelled ceiling with picture rails, wall light points, contemporary style radiator, woodstrip flooring and door to the Entrance Hallway. Range of base and wall mounted units, granite work tops with inset stainless steel sink and drainer unit with mixer tap over, space for washing machine and dryer, inset ceiling spotlights, decorative tiled floor and double glazed window to the rear elevation. a four-piece white suite comprising of double ended bath set in a tiled surround, large corner shower cubicle with chrome shower fitted, wash hand basin set in vanity unit with large wall mirror and illuminated plinth above, close coupled WC with concealed cistern and further cabinets to either side. Coved ceiling with inset spotlights, ladder style heated towel rail, ceramic tiled floor, extractor fan and two PVCu double glazed tilt and open windows. PVCu double glazed window enjoying the superb sea views as previously described. 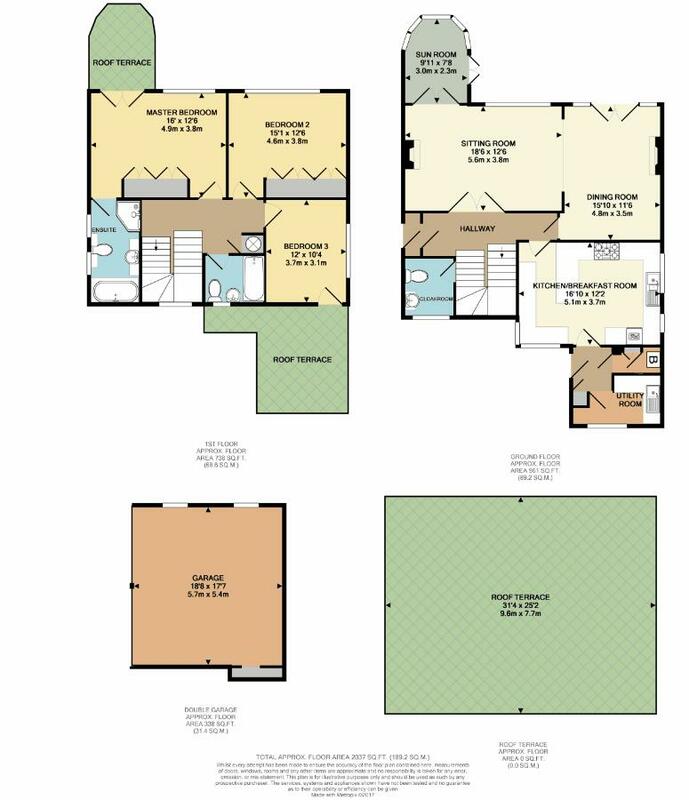 Coved ceiling, contemporary style radiator, television point, range of built-in wardrobes to one wall with hanging rails and shelving with top cupboards over. PVCu double glazed window to the side, coved ceiling, radiator and telephone point. 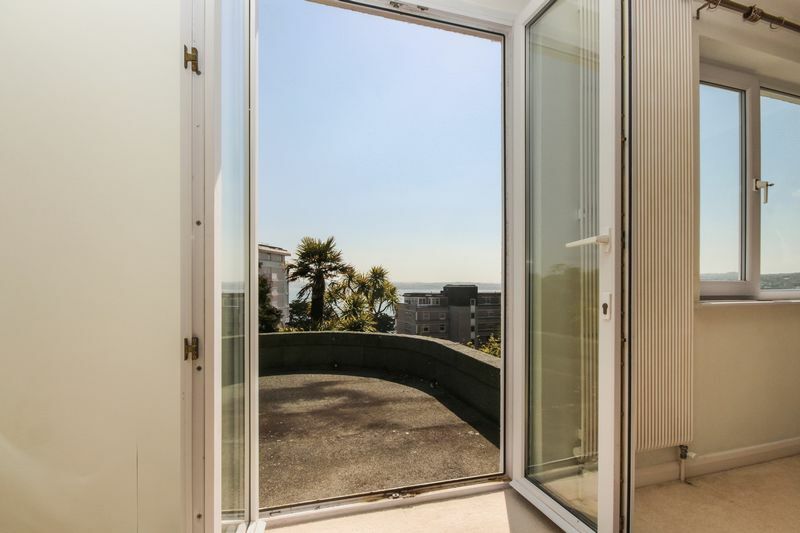 Double glazed door opening to the roof terrace overlooking the driveway and to the terraced gardens beyond. From here a fixed ladder gives access to the main roof. A three-piece white suite comprising of panel bath with shower fitted over, pedestal wash hand basin and low level W.C. Fully tiled walls with feature tiles, coved ceiling, ladder style heated towel rail, ceramic tiled floor and tilt and open window to the rear. Two electric remote operated up and over doors, two windows to the side, power points and lighting. To the side of the garage and accessed internally is a further storage area. Re-lined a couple of years ago and accessed via a ladder from bedroom three's roof terrace. 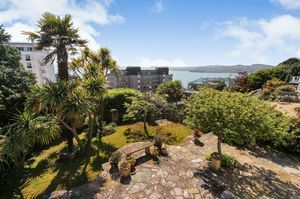 Offers potential to extend creating a luxury en-suite master bedroom with terrace to make the most of the splendid views.